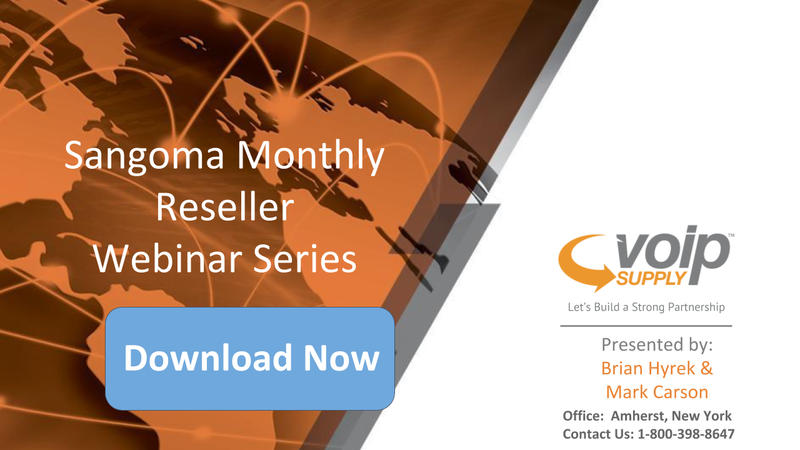 During this month’s Sangoma reseller webinar, Mark covered Sangoma’s latest Tech Award, new product releases, and Sangoma’s partner portal with marketing resources. Download the webinar slides here to learn more details! Question 1: Does Digium mobile solution work on Sangoma’s PBXact? Answer: Unfortunately, the answer is no. As of right now, Digium’s mobile solution only works with Digium Switchvox. However, the integration with Sangoma products could happen down the road in the future. Question 2: How are the s206 and s406 IP phones different from the s205? Answer: The s206 has 2 SIP accounts, while the s205 is equipped with 1 SIP registration only. Also, the s206 and the s406 SIP phones have a new processor chip that supports Opus codec.